We’re getting close to the conference season at work: in June I’m going to both TechEd US in New Orleans and //build/ in San Francisco. Rather than cart around my very unloved Surface RT (haven’t used it in possibly two months), I’ve been dithering about buying an Intel Windows 8 machine, a touch device, say a convertible.I’ve had my eye on two possibilities, the Surface Pro and the Dell XPS 12. Since none of the touch machines available right now just aren’t powerful or expansive enough to be my main PC, I’ve been thinking of upgrading that too. 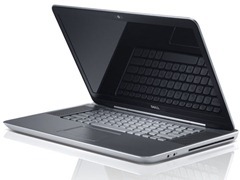 First things first, my current machine is a Dell XPS 15z and I’ve already been on the upgrade path with it (one, two). This time, I had a problem that I was continually bumping into: I was running out of disk space. I had a 512GB Crucial M4 SSD in there, partitioned into two drives, both 256GB-ish, and twice in the past couple of months I’ve hit the dreaded “red bar” in the Windows Explorer drive list on both of them. Yes, sure, I was able to clean some stuff out (including the recycle bin) both times, but with an SSD you’ve got to allow some breathing space. I looked online and there’s a new Crucial 960GB SSD on the market (the Crucial M500) for about $600, but it’s been out of stock pretty well permanently. I’ve even had an email alert registered with Newegg to be notified immediately they got some. Still no response. Since Newegg had a 15% off coupon for the past couple of weeks, I finally decided to switch out my optical drive instead for another Crucial M4 512GB SSD. Saved $60 on the $400 price, which went immediately to a DVD replacement caddy (I got one from newmodeus.com that fit the slimline 15z optical drive). That was the 15z taken care of – once I got the drive I merely copied one of the old partitions onto it (my data partition), removed it, and then expanded the other partition. Once that was sorted out, a great deal came up on eBay for a nearly new XPS 12. It was the i7 version with 8GB memory and a 128GB SSD. New, they’re $1,400 in that configuration, but this one was a three-month-old buy-it-now from someone in Denver for $1,000. The SSD is too small (one reason I stopped thinking about the Surface Pro), but replacing it is even simpler than with the 15z – opening the 15z can be frustrating in the extreme. Since Newegg had a Crucial mSata 256GB SSD in stock (there are no 512GB mSata SSDs yet), and the coupon was still valid, I snagged one for $180. 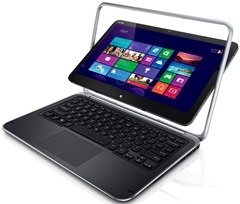 In essence, I got a top of the line XPS 12 for $1,180, whereas new, they’re $1,700. Not too shabby. Since I’m going to be using the XPS 12 as a Windows 8 development system and also a demonstration system at conferences, I installed everything needed for that: Visual Studio 2012, SQL Server Standard, Sublime Text 2, Office 2013, Firefox, and, of course, all of DevExpress’ products. After doing all that, I’ve got 146GB free for projects and data. I’ll probably copy over some of my current projects as and when. Oh, and I installed a Start Menu replacement. Sorry, I just can’t stand the Start screen for normal work (just the flash of the Start screen as I type the name of an app to find it is irritating) and most of the apps I just installed are all desktop apps anyway.